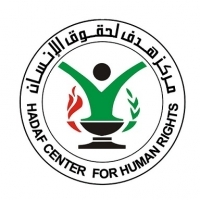 HADAF is an independent Palestinian non-governmental human rights organization based in Gaza City in the Gaza Strip. Established in 2004, HADAF seeks to promote and protect human rights, democracy and good governance, towards a Palestinian civil society that upholds human rights and rule of law. Halhoul Women's Charitable Society is a social charitable NGO that was established in 1965. It works on developing women's and children's standards in Halhoul area. 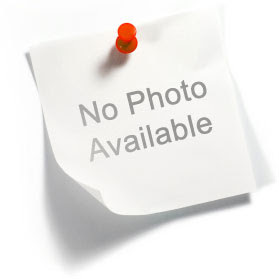 Established in 1944, The Hamilat Al Teeb Orthodox Charitable Society is a local non-profit NGO that provides aid to the needy, sick and students. The Society has a cultural center that offers training nd other activities. The Soceity also has a branch in Gaza. With an initiative from a qualified and prominent volunteers persons in the middle camps whom in charge of an important governmental and civil organizations, shoulder a series responsibilities toward participant in the social positive interference. Improving the marginalized areas targeting (children - poverty women – families - and other categorizes ) Hanan for cultural and social development has been founded to be a civil organization present a non traditional and discerning services to all Gaza geographic scope. Hanan association aims to be a pioneer association in cultivation the bad lucky sections in the Palestinian society particularly(children-youth-women-disables peoples) reach to a healthy-social-physiological and economical balancing through awareness, edification, present a discerning services, orienting the worker teams, and procedure studies and researchers in cooperation and coordination scopes with the right direction. 1- Defense and protecting the children rights, through organizing and implementing programs , activities and the special interactive projects which meet the main target. 2- Mixing and encouraging the disable child in his society among practicing his general and special rights as ( education – health – housing). 3- Developing and gaining the child the development and creation his own skills and talents in knowledge and qualifications. 4- Growing the social participating working to protect childhood particularly in the marginalized areas. 5- Improving the gifted child abilities also the disables one and the lack students who escapes from their schools. 6- Organizing the literate and training courses aiming to raise the society awareness towards the children. 7- Observing the whole current infringement against the children rights whatever civilization damage or war damage. 1 8- Cooperation and coordination a among the civil and the official organization which related with the childhood defenses. 9- Participating in the society renovation to form the participant development in the local society. 10- Reinforcing and interactive the women role in the development society process and decision making. 11- Developing the youth and forth coming generation gift in the Palestinian society as cultural and aesthetics a abilities. Our aim is to spread knowledge and raise awareness among the children. We believe that improving their skills, encouraging them to be productive and creative individuals, helping them understanding themselves and implanting important concepts such as democracy and human rights are keys to raising up a generation that cares for its nation and land. We wanted this center to be a house for knowledge and arts that we seed now, to gain tomorrow. Our children who we wish that one day to be youth leaders participating in improving and developing all aspects of life. They are our hope to build a free independent homeland where all organizations and institutes work together to make it possible. We hope that through them, we will be able to build bridge of communication between us and the rest of the world. Improving the social, cultural and sport level of the children in the camp. Helping children finding a place to use and benefit from their free time at. Directing and guiding the child to discover and improve his/her skills and talents. Emphasizing the spirit of team work and voluntary work. Helping in creating youth leaders. Understanding and learning the concepts of Civil Education. Encouraging children to communicate with others and making a network with other local organizations. The club also works in different aspects. The most important are: Social psychological aspect: programs and projects that aim to lessen from the psychological pressure imposed on children and deal with violent behavior. Courses in the CBI, raising awareness and counseling. Culture and art: activities related to music, traditional art, theatre, workshops in applied fine arts and forming art groups. Sport and entertainment: competitions, popular games, carnivals, picnics and open-day activities. Health and environment: organizing seminars and workshops related to First Aid and related issues. Media and journalism: publishing a newspaper related to childhood and taking care of the family of the little journalist in the center. Programs and project: working on projects especially designed for children 7-15 years old. Hawwa Society for Culture & Arts was established in the year 1994 as a womanly, pioneering center in the field of culture and arts. In 1997, it obtained a formal licensing from the Palestinian Ministry of Culture as well as the Ministry of Interior as a non- profit cultural center and a non-governmental organization (N.G.O's). The Society consists of a general corporation of (100) members in number; and it is being administered by a board of administration; formed of (9) members, who are chosen by election from the general corporation every three years. One of the elected personnel heads the board of administration, by election too. The type of volunteering overwhelms the Society. Al-Hejaz Street Near Al-Wattany Hospital. AYAT was mainly developed to fill a gap in Palestinian society and create a social body that is dedicated to the principles of civil work and development. The center, through various activities, encourages individuals to initiate development projects. The center believes that the Palestinian mentality needs to be reformed, to bear responsibility towards the development process and to rely more on local resources for a greater improvement of Palestinian society. Members of the Board - from Nablus and other Palestinian cities – obtained the authorization certificate from the Ministry of Interior at the Nablus city as it is considered the central headquarters for launching the center’s activities & projects. The members agreed on the goals of the Center, which reflect a new pattern of working in the field of comprehensive sustainable development. The Board chose a specific administrative board to work on achieving certain goals within one - year period. The Administrative Board, in turn, selected a qualified Executive Team based on their field experience to manage the center’s daily needs, and offer leadership for activities and projects. The Center’s achievements have affected a large sector of people throughout implementing many creative projects in a short period. The Center greatly emphasizes on reaching out young people through special activities. The Center’s success could continuously gain the support and trust of its donors. Hayat Center aims to achieve sustainable development in Palestine. We will, create a network of active youth and will help them to achieve their goals and be productive members of their communities. We will, create an local and international networks of youth and interested organizations to exchange Ideas, develop initiatives, and promote values of equality, equity, justice, interfaith dialogue, and community service. We believe in the civil society values of equality, quantity, and justice. Therefore we aim to establish and organize sustainable projects, to meet current and future development challenges. This is to be achieved through empowering youth to give them the opportunity to create positive changes, and promote the true image of Palestine as a moderate country. • Promotion of cultural values, social development, culture of dialogue and coexistence, and free-thinking, especially among young people and children. • Promotion and strengthening the culture and values of democracy and gender equality, principles of good governance and promote respect of law in the society. • Participation in the development of cultural relations, support initiatives, and networking with communities and institutions at the local, regional, and international levels in the field of cultural and youth work. • To equip the local and regional communities with the necessary interpersonal, life, and participatory skills vital for such communities to meet with developmental challenges they face, with an initial emphasis on the needy areas in Palestine • To stimulate and facilitate the empowerment and development of local and regional communities, to support their participation in the centralized decision-making •To stimulate and facilitate the use of appropriate strategic planning on local and regional levels, to induce the application of sustainable development. • To establish and sustain a developmental network of local, national, and international, governmental, non-governmental, and civil society, organizations and bodies that share the Center’s mission. • To promote for a better interfaith and intercultural dialogue, accepting the other among residents of the world. •To properly use the media as an active, effective and adequate agent of change and influence on the public and decision makers. • To promote the concept of rule of law and good governance.